This guest post has been written by Mike McNeil, passionate investor, founder of Dividend Stocks Rock and author of The Dividend Guy Blog. 3M (MMM) produces products like Scotch tape, projector systems, Post-it notes, Tartan track, and Thinsulate. This is a conglomerate that produces products for many industries and for both personal and business use, and their manufacturing, research, and sales offices are all over the world. 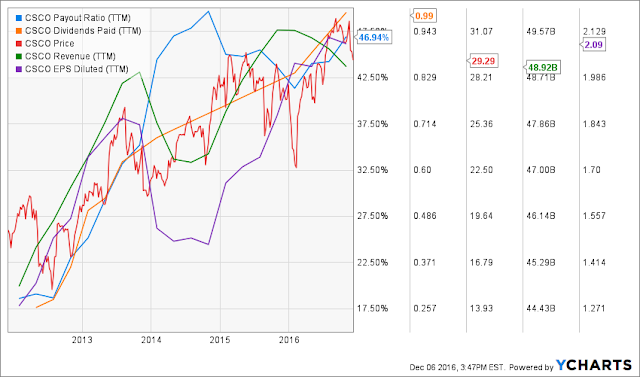 3M shows all the right characteristics to be part of a dividend growth portfolio. It is a leader in many of its products and spend more than any of its competitors in R&D. This makes 3M a chief of innovation that is always a few years ahead of the competition. By improving its existing products and generating new one, 3M ensures to grow its revenue over time. The company also has a strong experience in making several “small” acquisitions throughout the year and integrate them perfectly to their strong business model. Finally, 50% of its revenue is coming from repetitive sales, generating a never ending source of cash flow. There isn’t much risk associated with 3M besides the fact that their growth in the upcoming years may not be spectacular. This is not a company to buy in the hope of showing double digit returns, but this is a company you can buy and sleep well at night. 3M has been paying dividends to its shareholder for over a century and shows more than 50 consecutive years of consecutive increase. 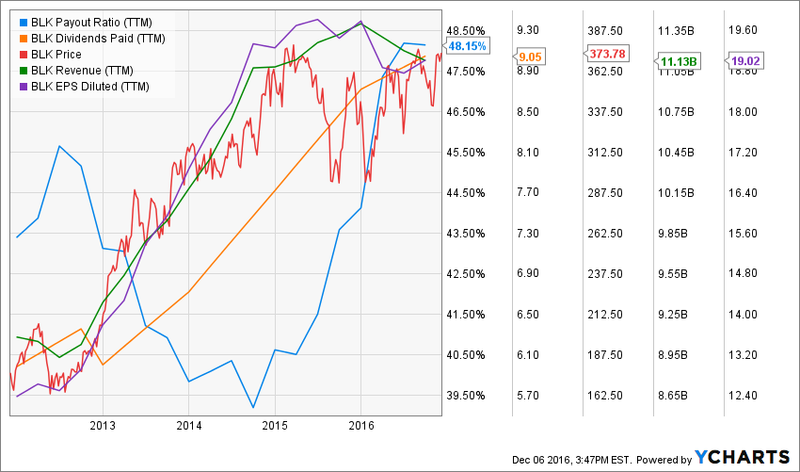 Over the past couple of years, 3M has been even more generous with their dividend increase and the payout ratio has jumped to 54%. Still, there are plenty of room for management to increase it in the future. 3M’s competitive advantages are legendary. Industrial clients are reluctant to abandon such a world class company for any competitors as they know 3M will deliver quality products. Consumers continue to buy post-its again and again as the product is well designed, well known and, most importantly, works perfectly. 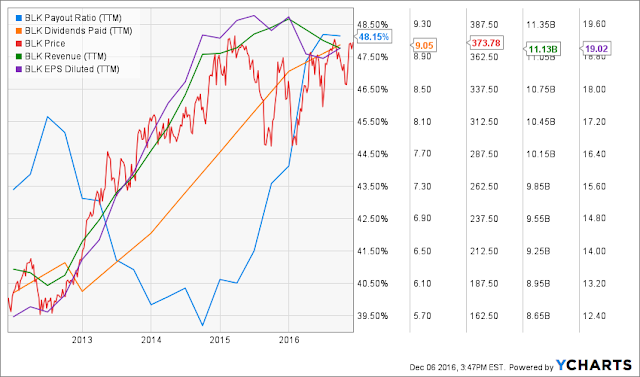 3M shows one of the strongest business models among the dividend kings and its dividend growth potential will continue to be one of its most interesting characteristics for investors. 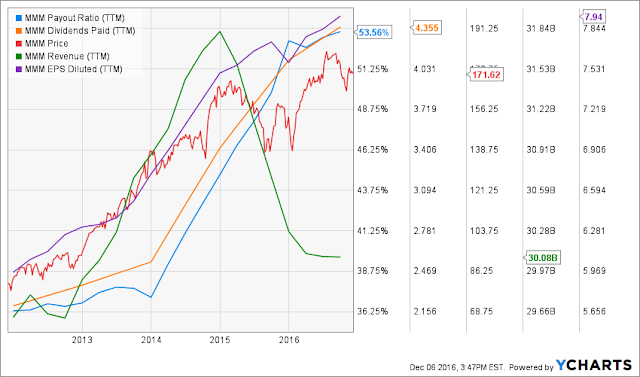 Blackrock (BLK) is THE asset manager in the US with the largest market share (Assets Under Management) with its iShares division. With over $1 trillion invested in its ETFs, Blackrock shows more than double the AUM of the second place State Street Corp. 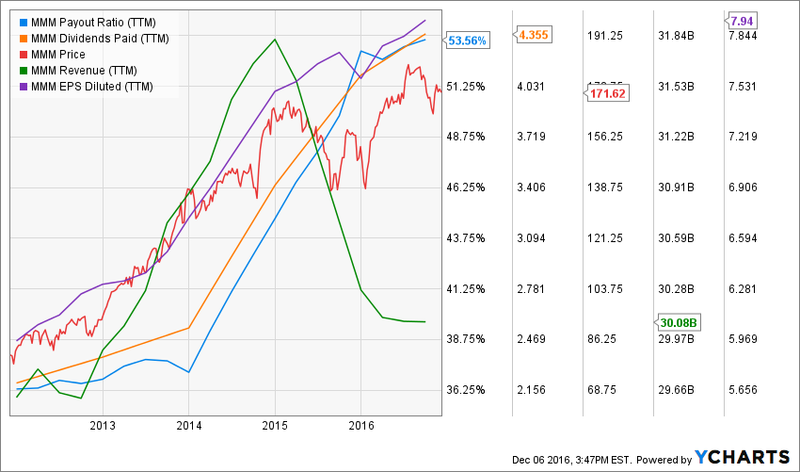 Considering investors’ growing appetite for ETF; this is definitely an interesting economic moat to develop. BlackRock has built a solid reputation throughout the years and the recent shift in the financial industry requesting more affordable investing vehicles for the population is opening the door wide open to the world largest ETFs manufacturer. Blackrock has also built a strong mix of fixed income and equity products enabling them to simply offer a different products to their clients instead of seeing them selling their position and staying in cash. The thing with financial companies is that they could always evolves around complex products that could lead to bad surprises. Hopefully, new regulations for more transparency will avoid such situation with BlackRock. In the event of any market mood swings, Blackrock stock price is likely to fluctuate. However, those risks are nothing to worry about if you are in for the long term. BlackRock has been a steady dividend payer for some years now. The company has successfully increased its dividend payouts for the past 6 consecutive years while maintaining a payout ratio under 50%. The company is generating sufficient cash flow to continues its streak for several years to come. BlackRock is a leader in its industry and has built a solid relationship with its clients. They offer a wide variety of investing products going from fixed income to equity. BlackRock shows a great combination of stable business model (due to the size of its assets under management) and growth potential (as more institutions are looking for low fees investment solutions). As we are bullish for 2017, we see Blackrock getting more net inflows of cash flow in its products. Cisco is the reference for switches and routers across the world. The way we transfer data throughout networks has been a pillar for many industries over the past decade. While 2/3 of Cisco's revenue comes from switches and routers, the rest of Cisco sales are coming from faster-growing adjacent market segments such as wireless, security, collaboration, unified communications, and data center products. As Cisco is the undisputed leader in its industry, this is also the player which sets the standards for other. This enable Cisco to benefit from a stronger premiums on all its products and services. As many companies are dependent from their networking system to operate on a daily-basis, their switching costs to ditch Cisco is enormous. Cisco has built and protected a very strong niche here. Unfortunately, or fortunately technology keeps evolving. What Cisco is today (the leader of switches and routers) could eventually disappear as the need for routers may decline upon the arrival of a new technology. However, since Cisco keeps acquiring smaller techno companies in order to stay on top of things, I’m not too concerned about this potential fate right now. The dividend payment has been increasing on a steady basis for the past 5 years while the payout ratio remained well under control around 50%. Cisco core business is very strong and generates a steady income to be distributed to shareholders. Dividend increases in the forthcoming years are well secured. The acceleration of the “IOTH” (Internet of Things) where literally everything is meat to communicate through a network is positioning Cisco in the driver seats for several years to come. As it is already established as a strong leader in this industry, there is more room for growth in the future. Cisco has the size and cash to follower their clients and answer their future needs. It can then continue to benefits from the strong bond it has established with its clients and offer further products to expand its revenues. Before I select any companies to be part of my portfolio, I go through an exhaustive investment process. Each company must meet the 7 dividend investing principles Those principles have been established based on several academic studies and over a decade of my financial experience in the stock market. I not only think those stocks will do well in 2017, but I believe they will do well in the long run too. In my opinion, those are keepers for a dividend growth portfolio. Disclaimer: I hold MMM, BLK and CSCO in my Dividend Stocks Rock portfolios.